...as a Scotia Platinum AMEX holder, I have noticed that I still get 4% return in category spending when traveling in the US. In light of the Amazon Visa news, this is actually comparable to the Rogers MasterCard. The only difference I see is that with Rogers, the return is on all foreign spending, not just certain categories. Just thought I'd mention it. Good to know! Thanks Brian! 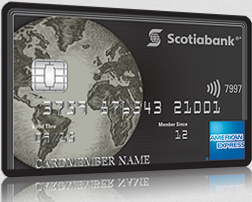 So essentially for Gas, Grocery and Dining Entertainment spend on the Scotia Platinum Amex (and assuming the Scotia Gold Amex) you'll get the 4% back meaning you come out 1.5% ahead on those foreign currency purchases. We find this significant as there are cards out there like the American Express Gold Rewards card whose category bonuses (save for travel) only count for purchases in Canada. Miles & More Award Ticket Sale - Save 50% on Economy Class award tickets between Toronto & Austria! Save big on Easter and Memorial weekends at Hilton Hotels in the United States, Latin America, the Caribbean and Canada. Book by April 7 for stays April 10, 2017 to April 17, 2017 and May 25, 2017 to May 30, 2017. Find out more here.